Bridget joined the faculty at Wild Heart Performing Arts Studio in fall 2017, where she has been teaching children and open level adult classes in ballet, modern, and jazz dance. 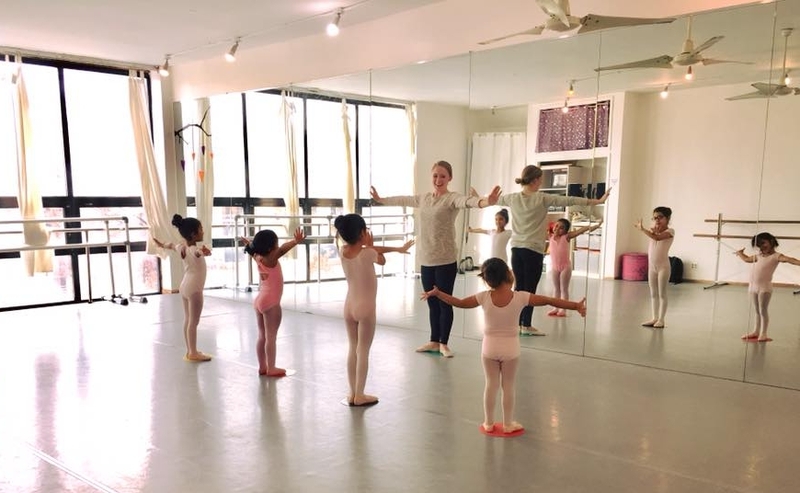 Wild Heart Performing Arts Studio is in the heart of Astoria, Queens and hosts beautiful facilities and challenging, fun and nurturing classes. Check it out at www.wildheartpas.com! Bridget had the pleasure of joining the Morningside Center for Learning Social Responsibility PAZ After-School Program at P.S. 24 in Sunset Park in Fall 2016. She worked with grades K-1st October 2016 through June 2017 on creative movement, fundamental dance exercise, and even some simple anatomy vocabulary. Bridget returned to P.S. 24 in September 2017 and is loving another school year with this wonderful after-school program! Bridget joined the faculty of Dance Matters NYC in 2015 as a substitute dance teacher and is very excited to now be a permanent Taylor style modern and pre-ballet teacher with this wonderful private dance studio based in Long Island City (dancemattersnyc.com). Under the direction of the fabulous Mariana Sanchez, Dance Matters provides a unique, nurturing and professional dance environment. Bridget spent a fourth consecutive summer teaching for A Place for Kids at P.S. 2 Meyer London School, a program that provides underprivileged children based in Chinatown, NYC with summer education and childcare opportunities. Thanks to Roberto Villanueva of Balasole Dance Inc., Bridget was connected to APFK to teach creative dance fundamentals to K-6th grade for the summers of 2015-2018.